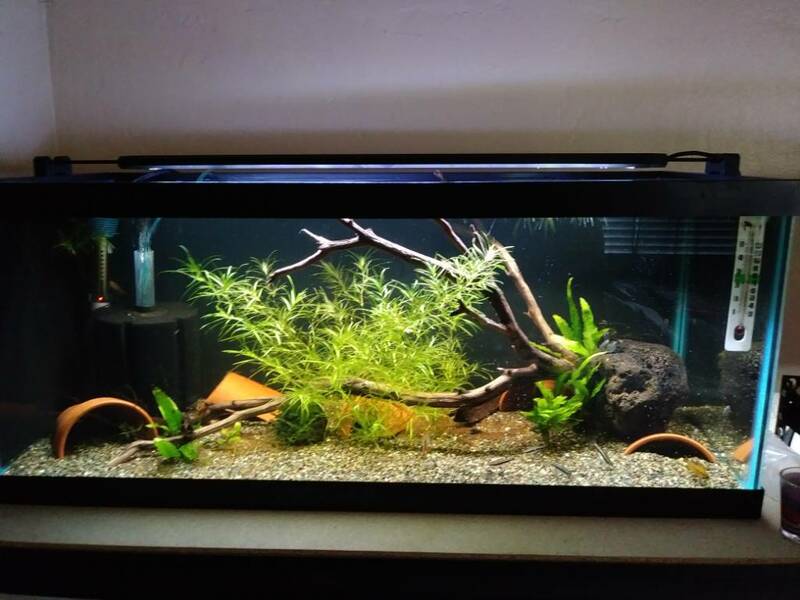 I've been kinda slacking on posting pictures of my tanks lately, oops lol. I've had this tank set up for about a month and a half so I figured I should make a thread for it. 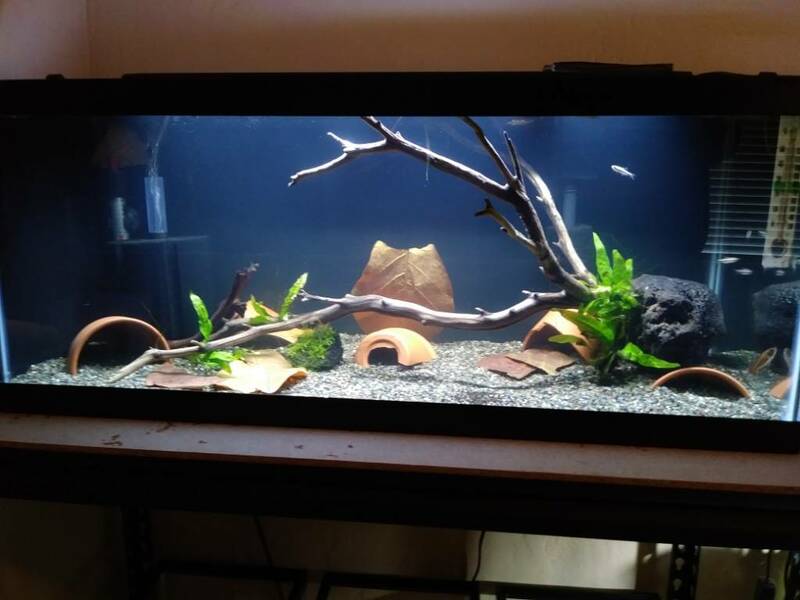 So I set this tank up a few days before the CK meeting in October. 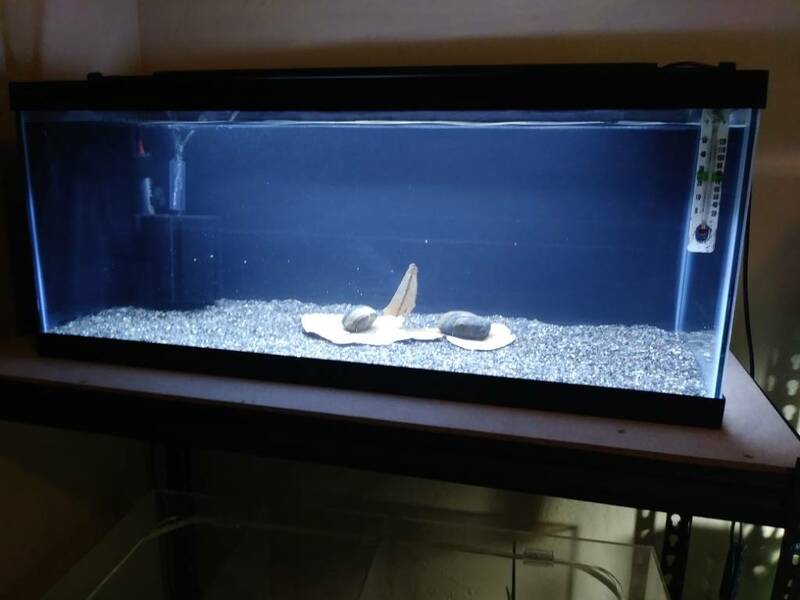 I ran a cycled Hang on Back filter along with the sponge filter for a week to quickly cycle the tank. I picked up the Manzanita during the sale for the meeting, an awesome piece! I picked up some small terracotta pots and broke them up to make some caves and put them in the tank. 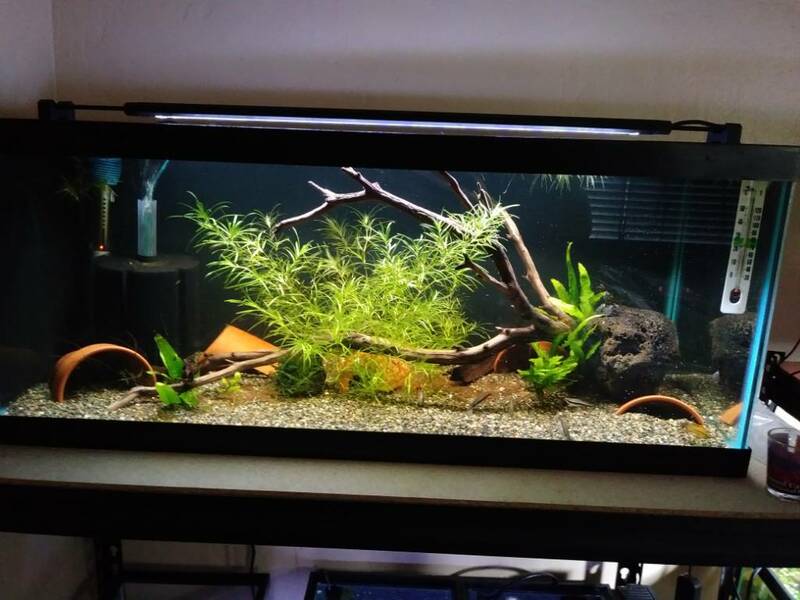 Threw in a few random plants and just tossed the guppy grass in to let it go where it wants, I like where it settled. Theres 3 big pieces of Indian Almond Leaf in there and every other water change I add in a small amount of Blackwater Extract. The cherry shrimp I tossed in there in the first week to test out the cycle. Not a single shrimp died so after a week I put the white gold apistos I have had for a couple months in there with some pencil fish for dithers. At the beginning of November I picked up the Male Triple Red and a week later I got the female, both from CK and from different batches. 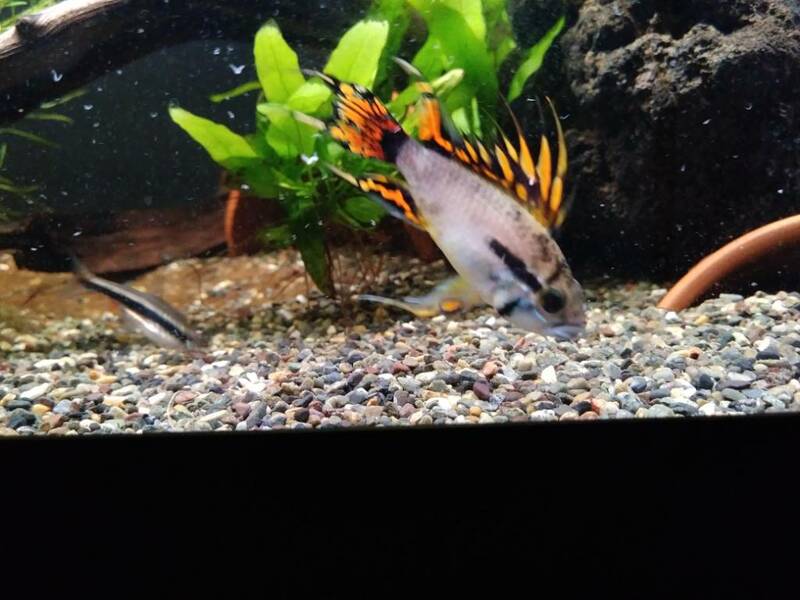 I didnt want to get 2 fish from the same batch, I plan on breeding these and dont want too much inbreeding. 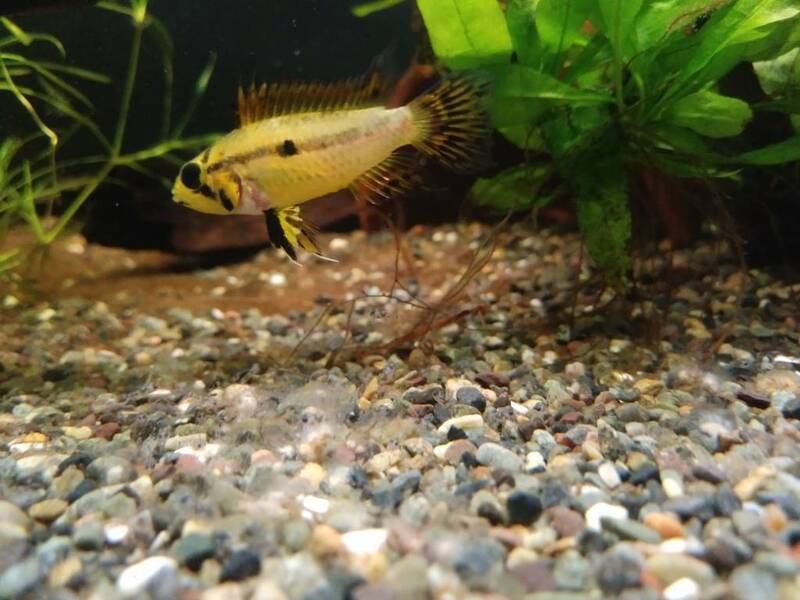 The male is perfect, he colored up really nice and has some awesome finnage. 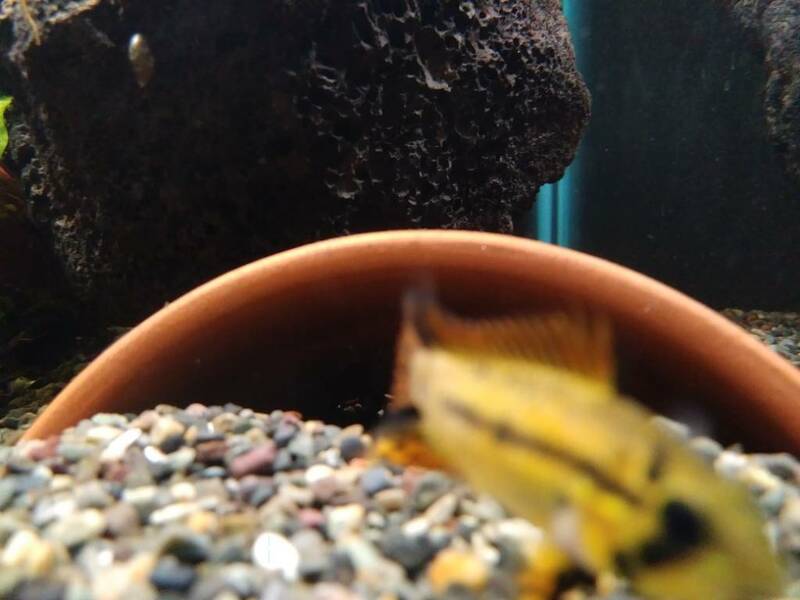 I picked the most colorful female I could find, her whole body has a bit of a gold tone to it and her fins show the triple red markings really well for a female. 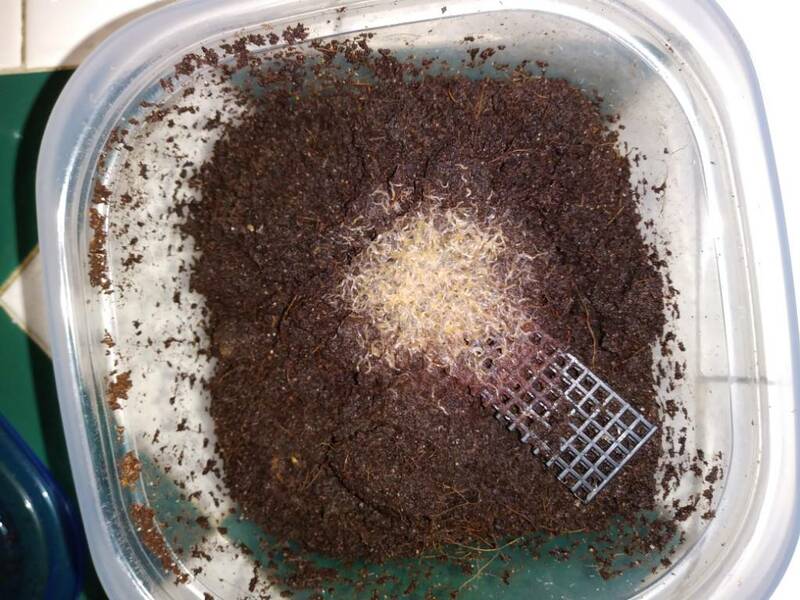 The healthy daily feedings of Live Grindal Worms definitely helps. This morning while feeding the tanks I noticed the female staying near one of the caves and her and the male were keeping all the other fish on the opposite end of the tank.... VERY INTERESTING! I broke out my flashlight and there on the roof of the terracotta pot was a VERY pleasant surprise! My Triple Reds have become a breeding pair and have produced their FIRST SPAWN! And a very healthy looking spawn at that! I lost count at 50 eggs and wasn't even half way into counting em! 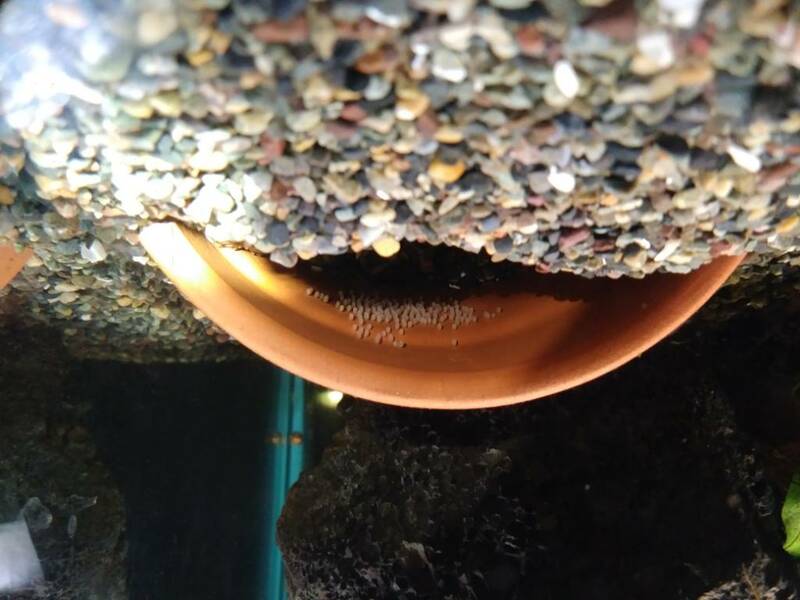 I dont know why that last picture is upside down, but you can still see the eggs lol. 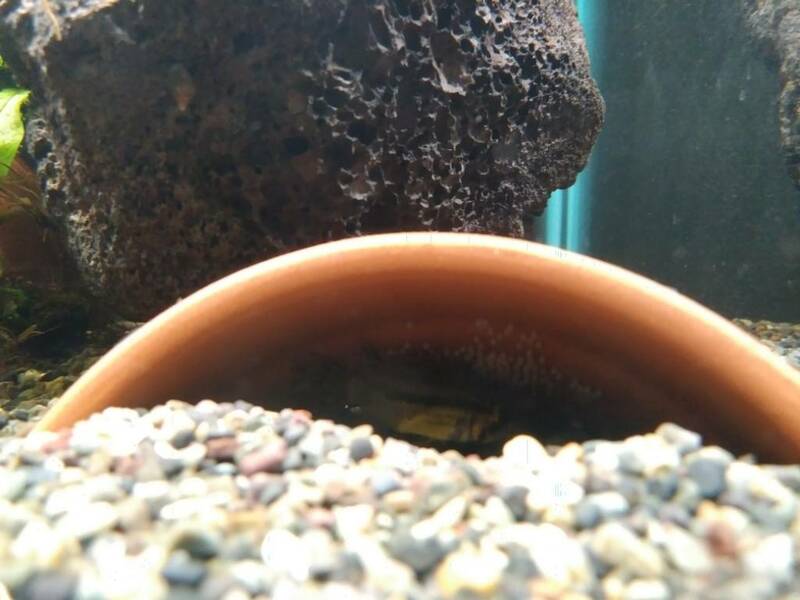 Looks like I'm an Apisto breeder now, fingers crossed for a high fry survival rate! Last edited by Kole85; 11-30-2018 at 11:56 AM. Last edited by Kole85; 11-30-2018 at 12:00 PM. Congratulations! 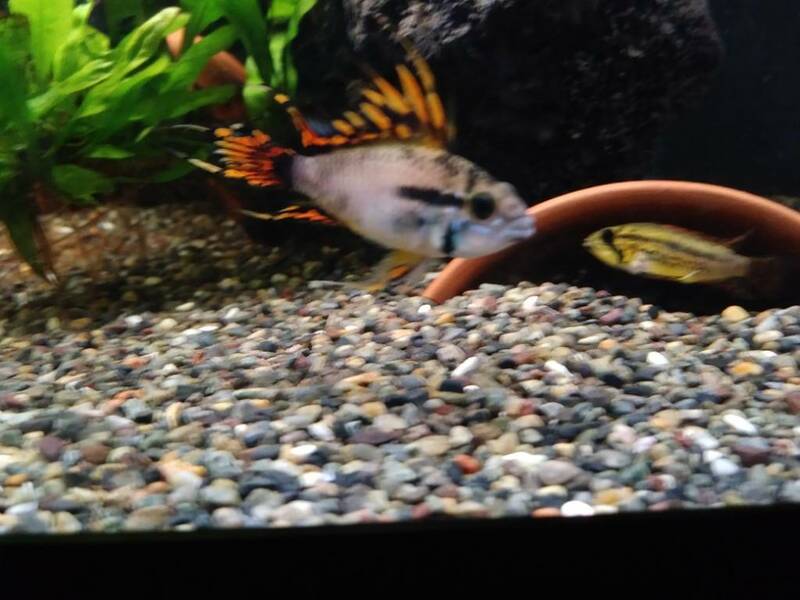 Lovely pair of apistos, too. 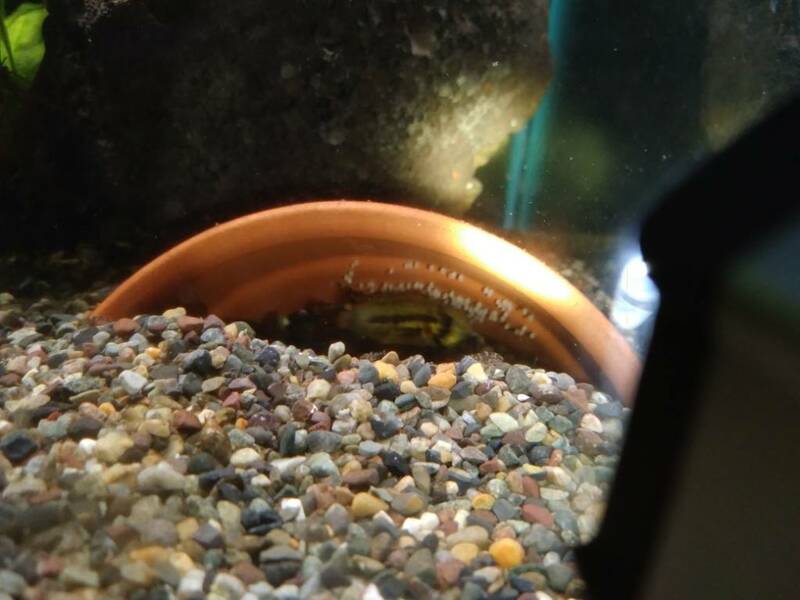 Any update on the eggs/fry? The eggs started hatching Monday morning. 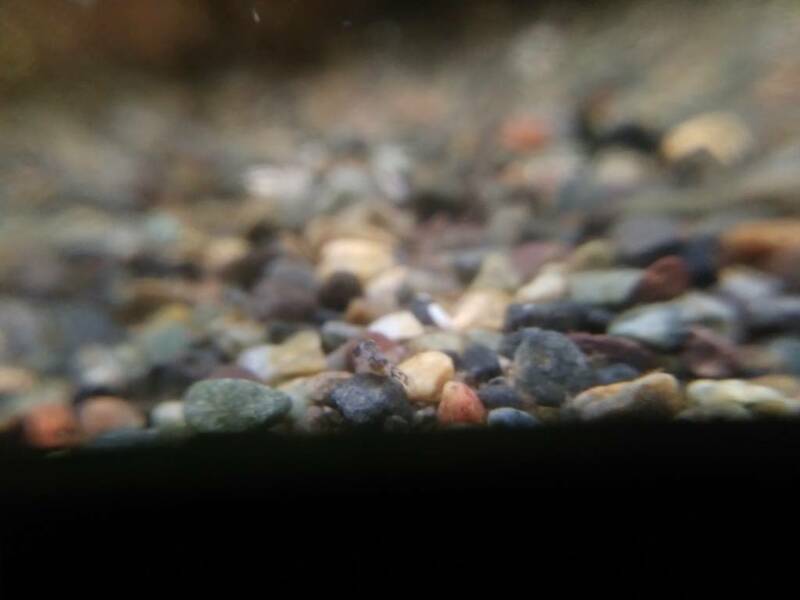 The fry are super tiny and the mom keeps moving them between 2 of the caves so its hard to see them, but I have counted at least 12 fry. They should be free swimming in the next day or two, will try to get some pictures to post. That's awesome! Way to go. Here's the one week update since finding the eggs. 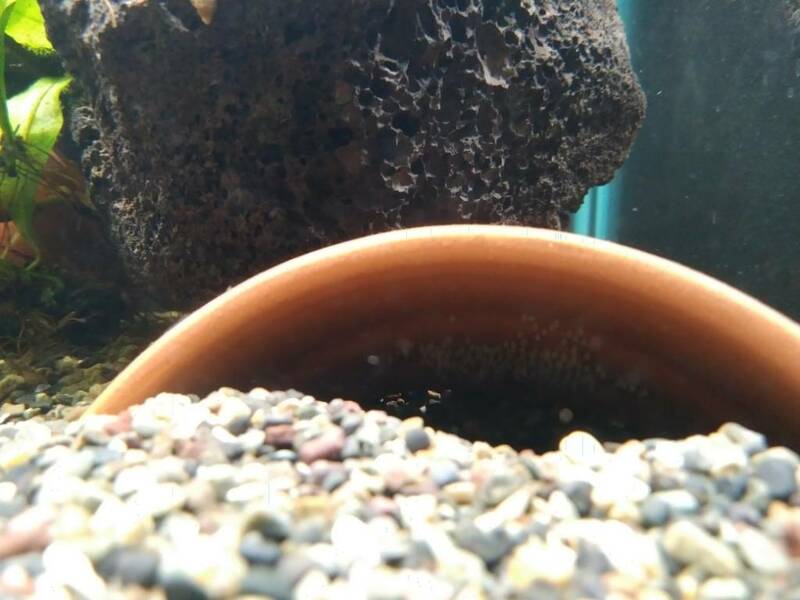 The eggs started hatching Monday and the mom kept transferring them between 2 of the caves in the tank so they were hard to see. 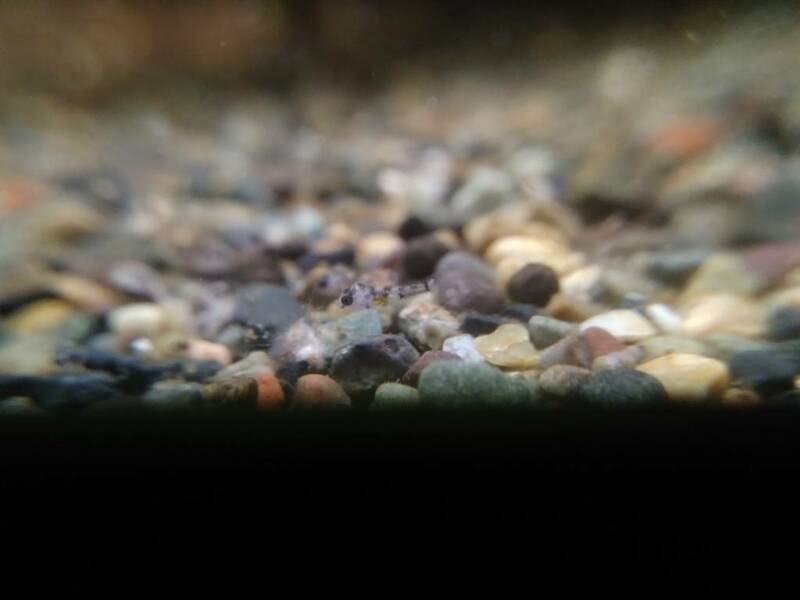 The fry are now free swimming and SOOOO tiny, they make the grains of criva sand look BIG lol. 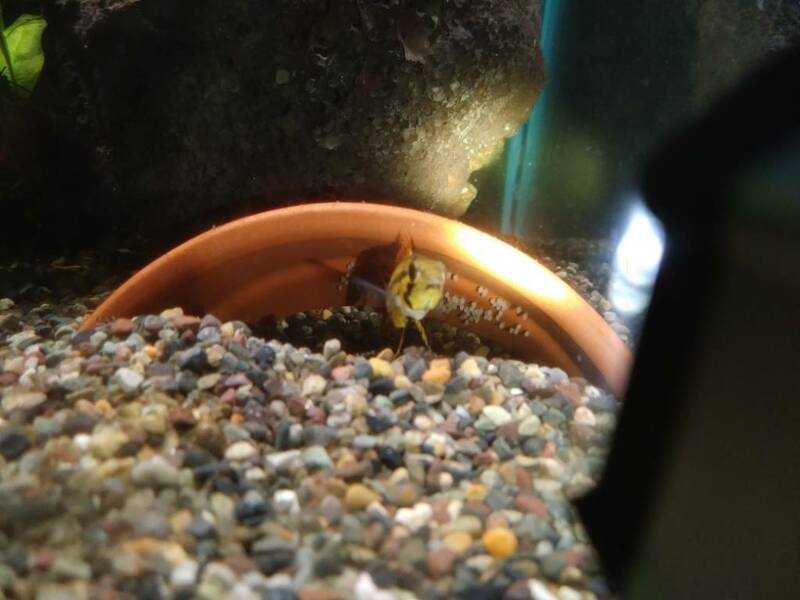 The mother is being a good mom, always near by watching and making sure no other fish come around the fry. The fry are picking at the mulm on the bottom of the tank and I am also feeding Hikari First Bites in addition to the grindal worms the adults get. 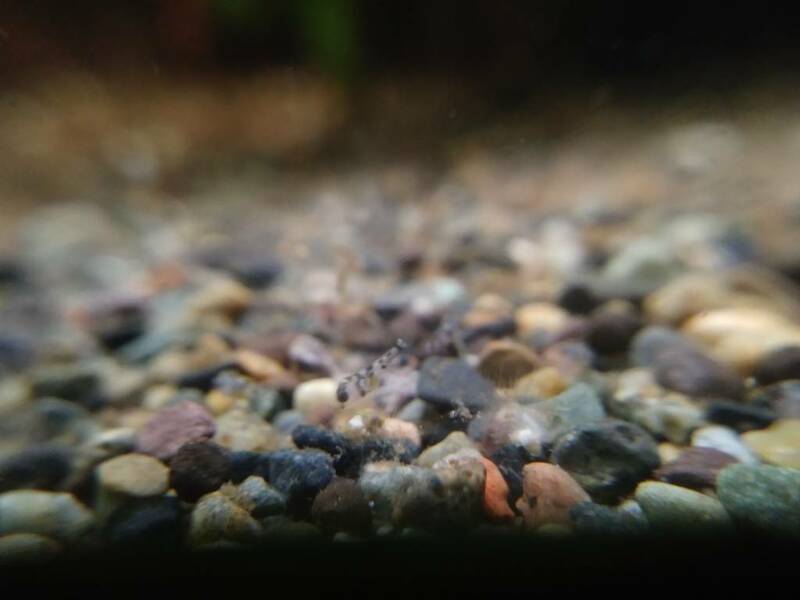 Its super hard to get a count on how many fry there are right now, but they seem to be doing well. Their eyes are so big compared to the rest of them lol. Heres a few pics I was able to snap with my macro lens today. Interested!! Let me knw as soon as they are ready! The shrimp seem to be doing fine. 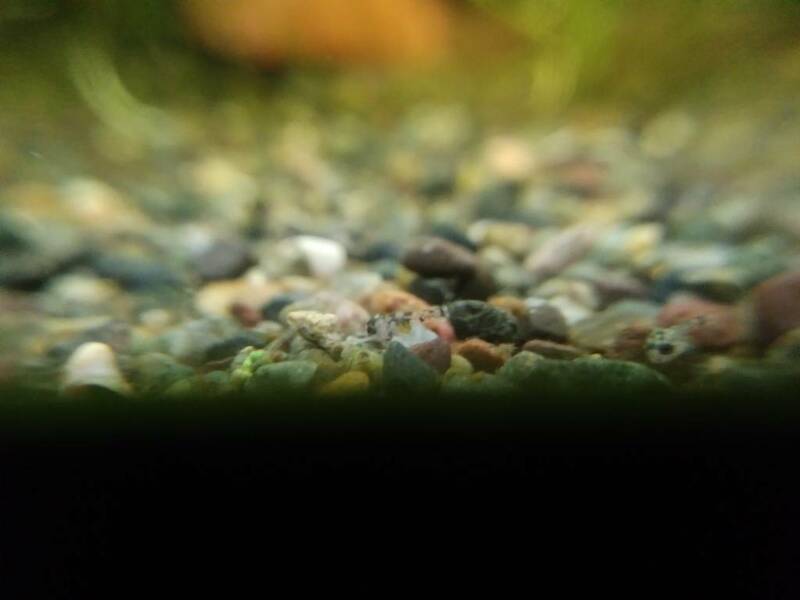 They are cull shrimp from my pfr colony so I wont be bummed if they get eaten, and if they breed it will be a source of live food in the tank. 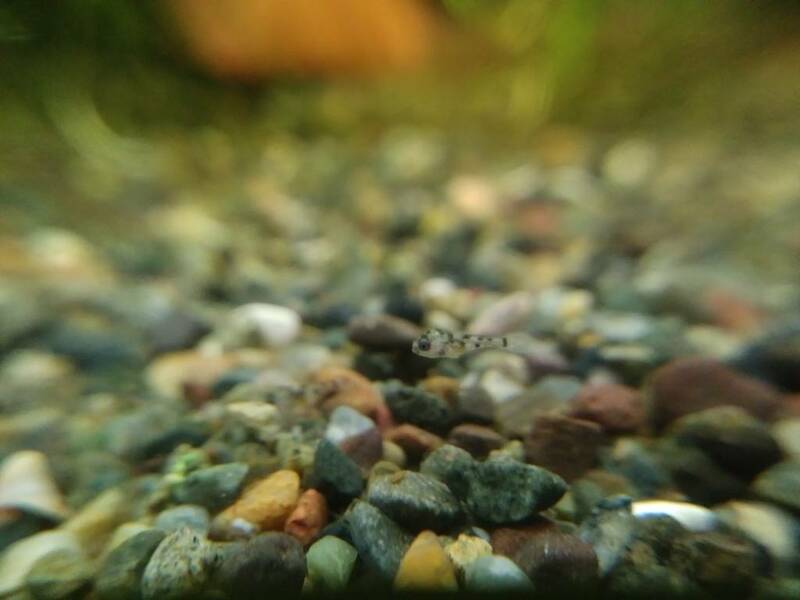 Well the fry aren't even a full 2 weeks old yet and the pair has had another spawn, lol. 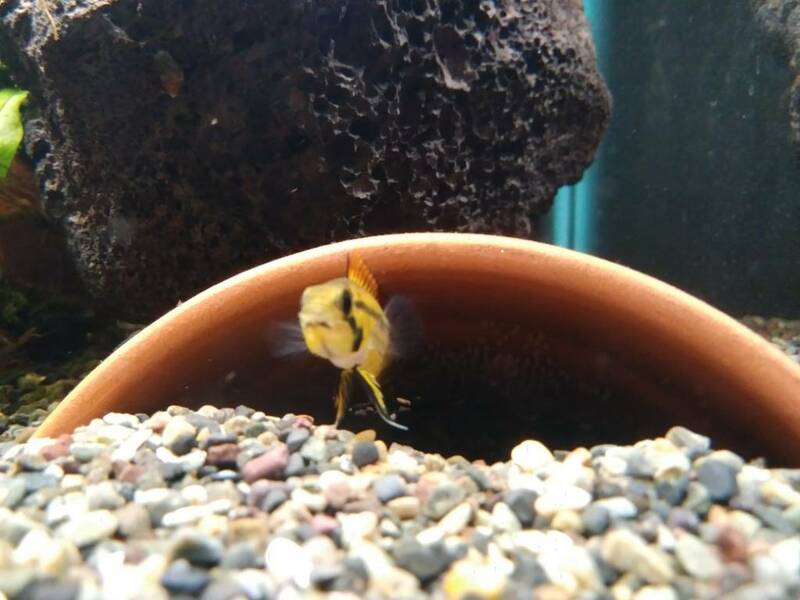 More babies on the way! Do I dare start another tank??? Darn man, I’n So tempted. Those guys look so cool!